Looking to build your dream home on 3 lots in a perfect location? Than look no further! 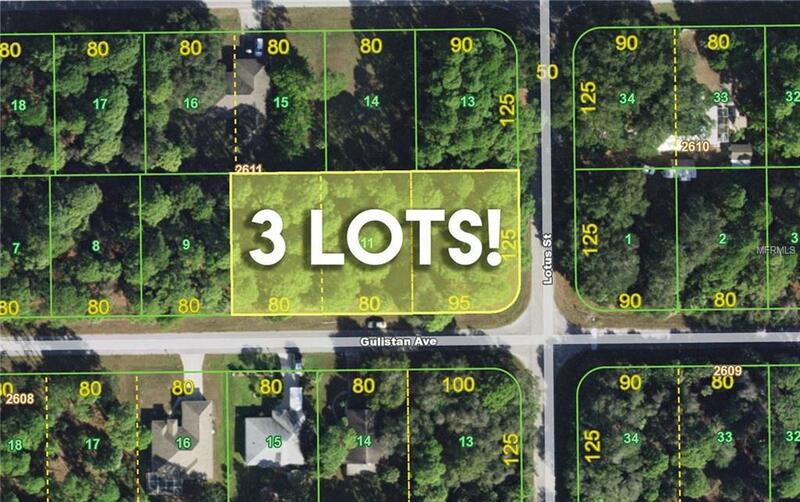 Three lots, s of an acre, including a corner lot in Port Charlotte! Very close to North Port shopping, restaurants, etc. and Port Charlottes so you get the best of both worlds! Close to Beautiful Gulf Beaches! Get your slice of paradise today!